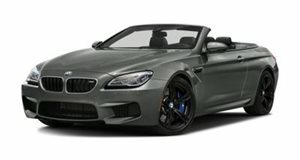 2017 BMW M6 Convertible powered by 4.4-liter V8 Gas Engine with 7-Speed Automatic transmission. Citrin Black Metallic, Priority 1. Ruby Black Metallic, Priority 1. Tanzanite Blue Metallic, Priority 1. Frozen Bronze Metallic, Priority 1. Frozen Brilliant White Metallic, Priority 1.